About: A fun antibot system for comments, registration, ContactForm and GuestBook. 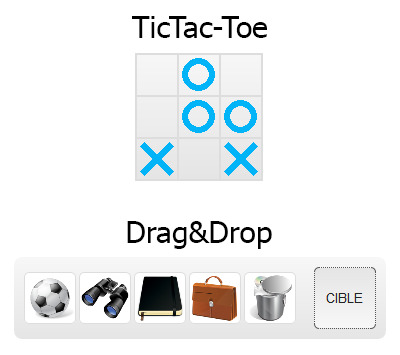 It's not a captcha, it provide two different challenges (for now) : a tic-tac-toe minigame and a drag & drop verification. 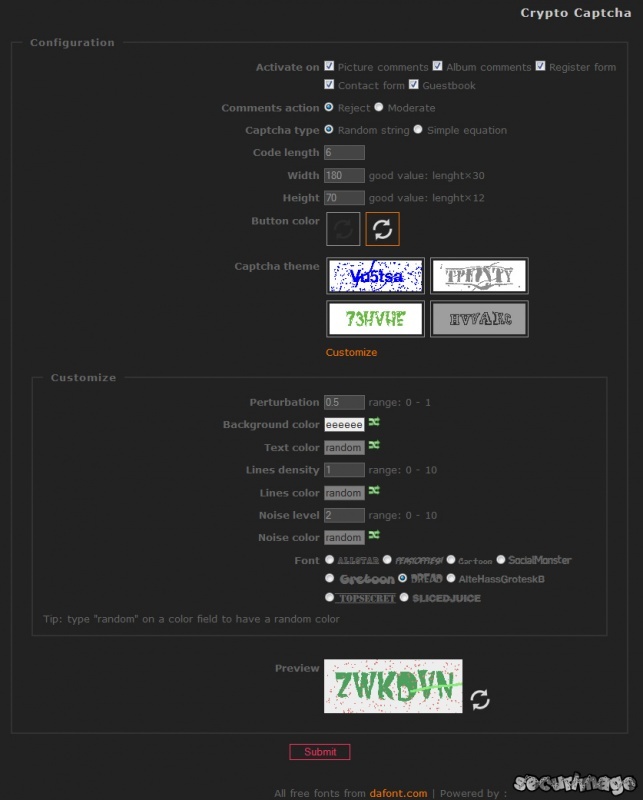 Can be used with Crypto Captcha ONLY if not activated on the same pages. 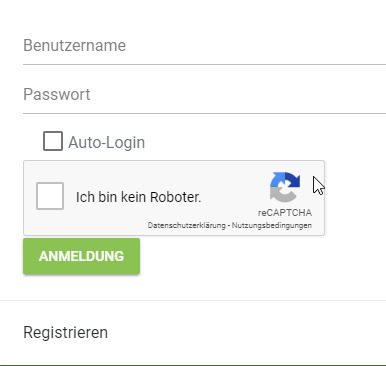 About: 'Crypto Captcha' (formerly 'CryptograPHP') limits spam in your gallery by adding a captcha in forms for registering, commenting and from the 'ContactForm' plugin. 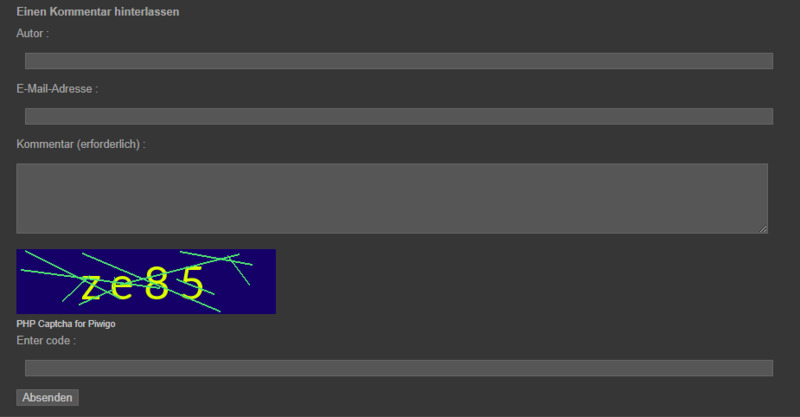 It works like P@t's plugin 'Captcha' except that it uses the Securimage generator (www.phpcaptcha.org) instead of reCAPTCHA (www.google.com/recaptcha). Compatible with 'Comments on Albums', 'GuestBook' and 'Contact Form' plugins.